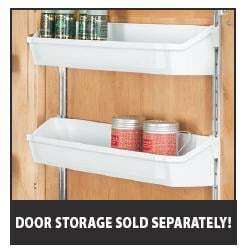 These pantry sets include 5 polymer D-shaped shelves with an independent rotating system. The D-Shaped shelves are available in 22" Diameters. Available in either white or almond color.